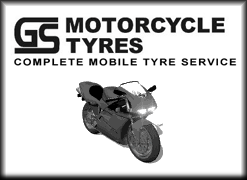 "Road registered motorcycles & track bikes welcome"
"Unlimited track time - up to 7 hours a day! A true ‘open’ pit lane event!" "Limited number of riders to make the most of the track!" "We take personal care of every bike!" Here at BBS Eurotracks we pride ourselves on providing the ultimate track day experience for road motorcycles and track bikes alike. When the weather starts to turn and most riders are parking their pride 'n' joys away for the winter, we are loading our bikes onto our bespoke transport and jetting off to warmer climes, to hone our skills on some of Europe's most exciting circuits. All of our track days are run on a 'Full open Pit Lane' basis. By restricting the number of clients, we ensure we take no more than the track can cope with, allowing for a truly unlimited track experience. 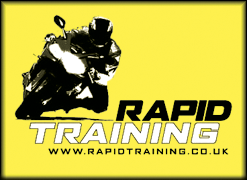 With our friendly team of experienced tutors on hand to give advice and support and unrestricted track time, make our track days an ideal experience for novices and experienced riders alike. As part of our unique package, we have complete control over the bike transport. Each motorcycle and kit is secured into its own crate and loaded onto our artic lorry by our experienced team. You can rest assured your bike will be in safe hands en-route to the event and will be waiting for you at the track. So, if a couple of days of riding around a top class track, spending the warm evenings discussing the days events with like-minded enthusiasts over a few drinks appeals to you, why not give us a try. © BBS Eurotracks.co.uk 2012 All rights reserved.